Flatt & Scruggs were starting to play campuses and spots like the Ash Grove). Botkin and Henning showed Louise a pilot and assured her that the hillbillies outsmarted the city slickers every time. Earl Scruggs was still leery, saying later, "We'd worked so hard to get away from what you might call the hillbilly image." Introducing the song later, Flatt would say, "Here's one we weren't all that crazy about when we recorded, but after it sold a hundred thousand copies, why, we just learned to love it." Before the series aired, the theme song was re-recorded with a more mainstream vocal by Jerry Scoggins, formerly of the Cass County Boys who'd backed Gene Autry on his 'Melody Ranch'shows in the 1940s. By 1962, Scoggins was working as a stockbroker and only sang on weekends. 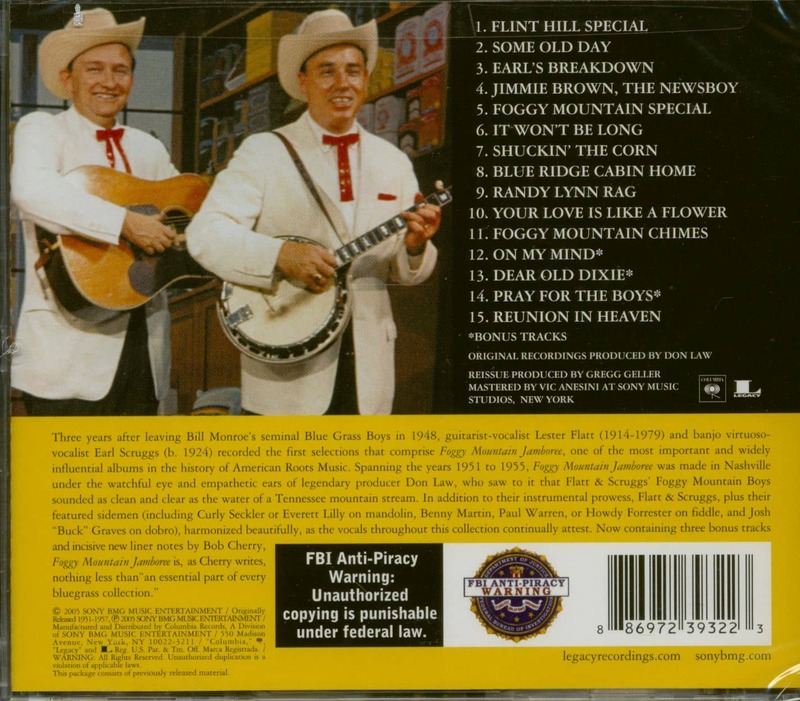 Flatt & Scruggs backed Scoggins and played on commercials for two of the sponsors, Kellogg's and Winston cigarettes. Later on, they made a few guest shots on the show. Henning's melody was generic and probably owed more of a debt to Woody Guthrie's talking blues than to anything in the bluegrass canon. The show began airing on September 26, 1962 and Louise Scruggs pressured Don Law to release The Ballad Of Jed Clampett when it was clear that the show was a hit. 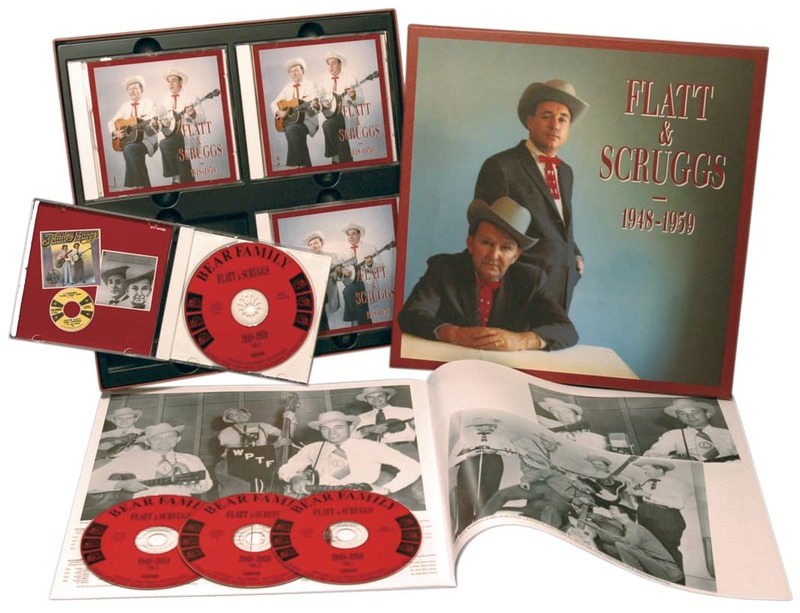 It charted on December 8, the day that Flatt & Scruggs played Carnegie Hall, and in January 1963, it became the first bluegrass song to ever top the country charts. 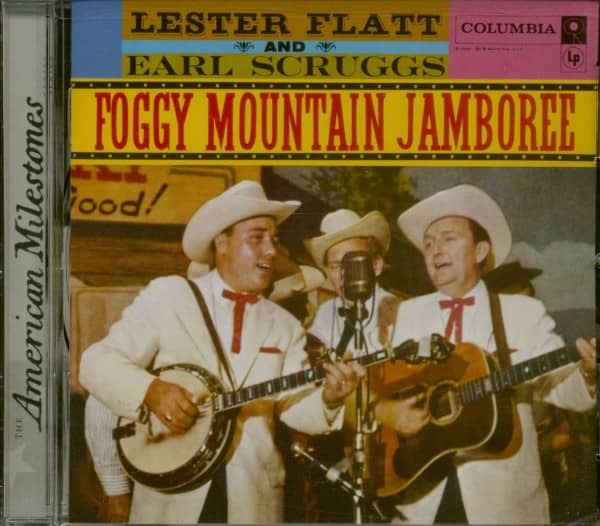 For all the great music they recorded, Flatt & Scruggs' two biggest hits were The Ballad Of Jed Clampett and a spinoff song, Pearl, Pearl, Pearl. Customer evaluation for "Foggy Mountain Jamboree (CD)"